Intersolar has been driving the building and expansion of the solar industry forward around the world for over 25 years. With the rise of renewables comes a transition in the structure of energy supply. Energy generation, distribution, storage and use must be digitally controlled and networked – using a smart energy management system. Under the slogan of The Innovation Hub for Empowering New Energy Solutions, the The smarter E Europe umbrella brand brings together several exhibitions for renewable and smart energy solutions in Europe – including the leading Intersolar Europe and ees Europe and the newly introduced Power2Drive Europe and EM-Power exhibitions held in Munich. From 2018 on, The smarter E acts as a strong link for a diverse range of events, covering renewable energy production, distribution, storage and the intelligent use of energy. From the very beginning, Intersolar’s founders have been guided by a vision of a solar future. 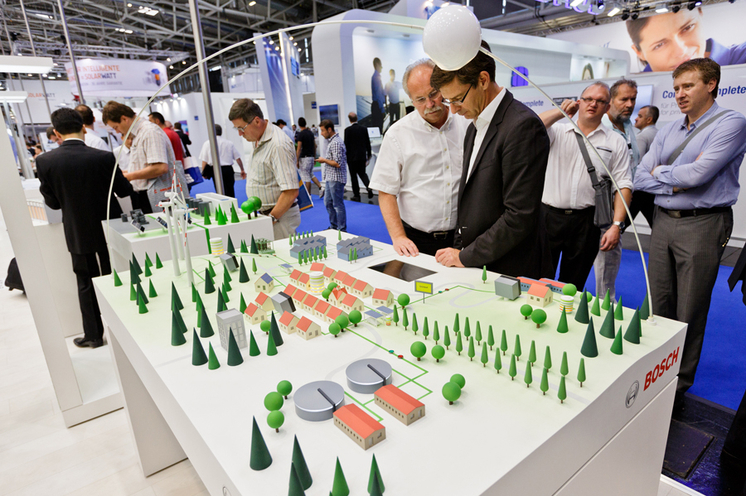 Intersolar’s organizers are convinced that the global energy transition will be a success and are certain that 100 percent renewables is achievable. The steps that need to be taken to achieve this goal and the challenges this brings are very differen around the world. To this end, Intersolar has cooperated closely with solar energy groups and associations since the exhibition’s early days. 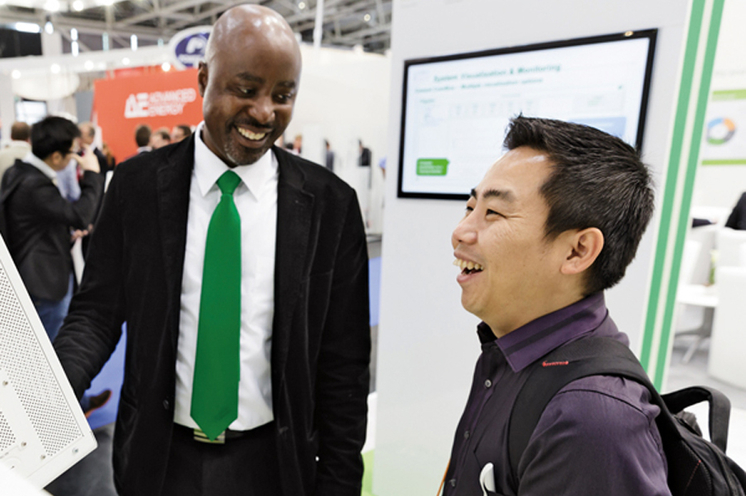 Today, Intersolar brings together the best minds and technologies from all over the world, uniting people on four continents who are familiar with the various regional challenges and thus, as we like to say, “Connecting Solar Business”. 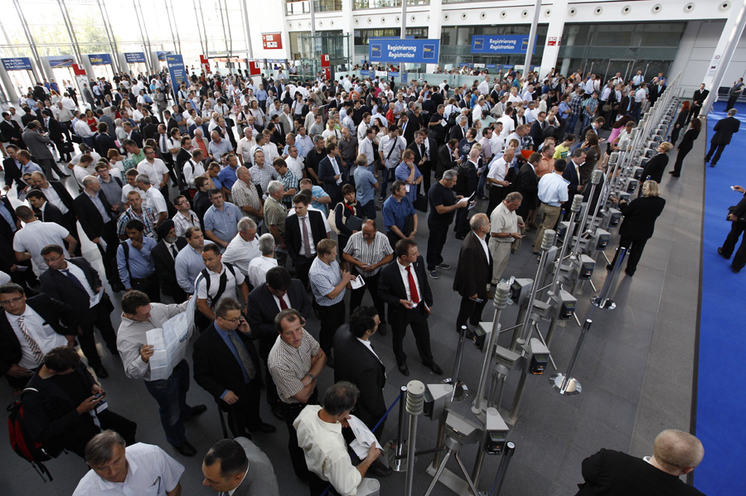 The exhibition grew significantly further and in 2007, Intersolar counted already three times more exhibitors and visitors. So again, the exhibition center was outgrown and Intersolar had to move from Freiburg to Munich. However, FWTM remained as co-organizer. The new location allowed the exhibition to develop further, attracting exhibitors from the supply industry and expanding the offering to include PV production technology. Over the years that followed after the foundation of the one-day event Solar in 1991, interest in solar technology grew and thus the number of exhibitors and visitors in the following events. 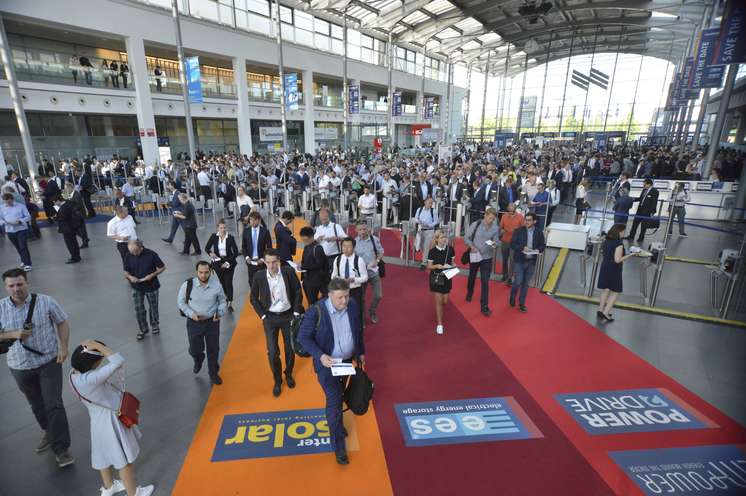 Solar ‘93 attracted 25 exhibitors and 2,500 visitors to Pforzheim. 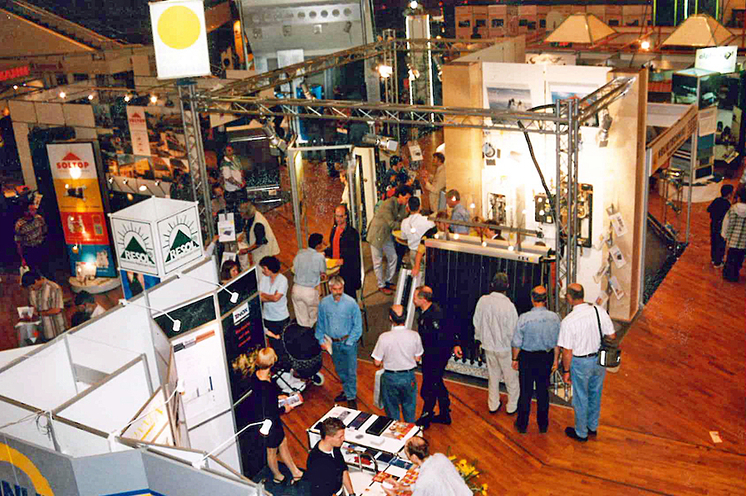 At Solar ’95, there were 45 exhibitors and already 84 exhibitors at Solar ’97. 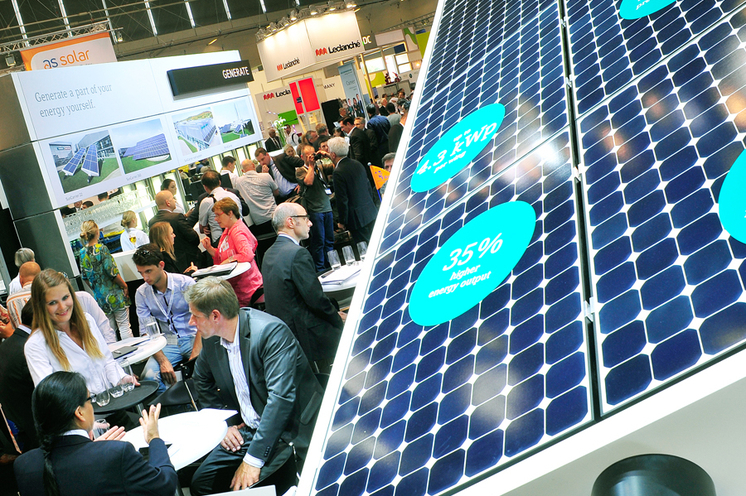 The last exhibition in Pforzheim, Solar ’99, was attended by 142 exhibitors and 8.400 visitors. Intersolar was founded in 1991 to actively promote the development of solar technology. 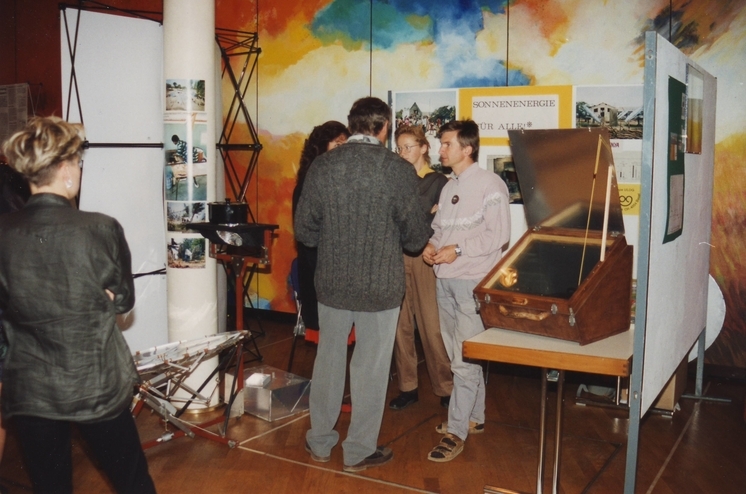 It started with the one-day event Solar ‘91, organized by members of the Working Group for Environmental Technology in Pforzheim, Germany, at which five solar companies presented their products as part of a small exhibition with presentations on the use of solar energy.